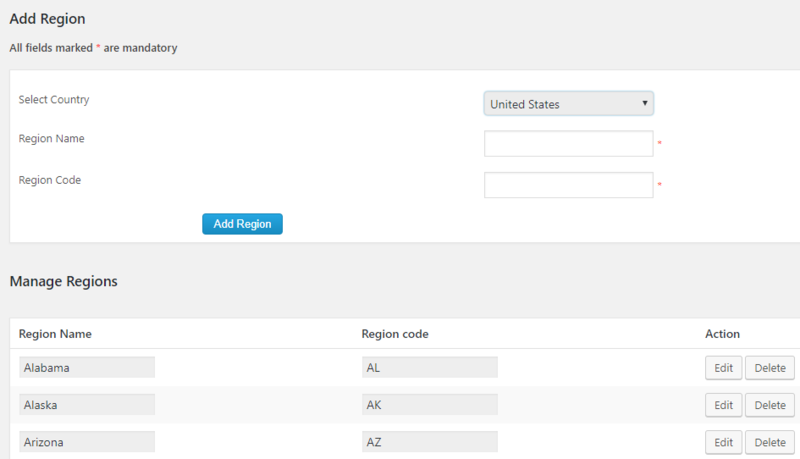 In this section we can add or manage the regions in a country. Here first select the country and we can see all the regions in the country. We can add more regions or edit/delete the existing one.